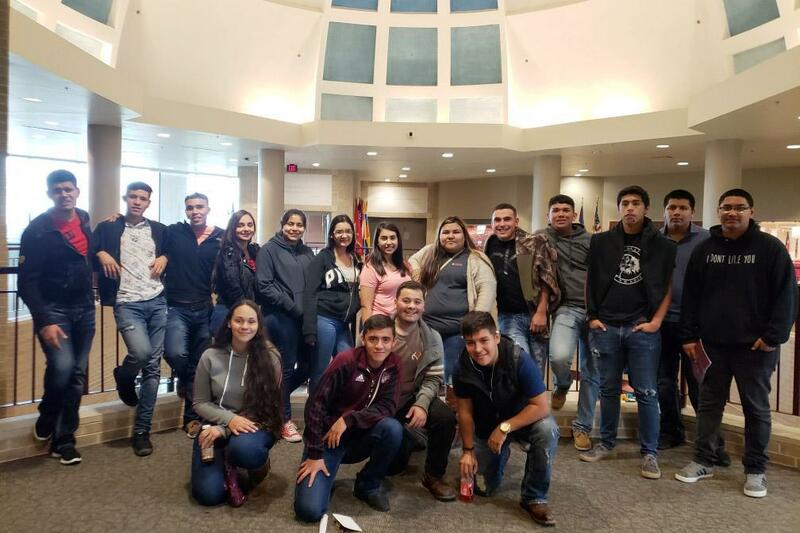 Students toured the campus at TAMIU and were provided valuable information about college life on campus. Migrant students from Mission High School, Veterans Memorial High School and Mission Collegiate High School visited Texas A&M International University recently in an effort to broaden their exposure to higher education. Students learned about the university’s admission process and their programs of study. They also had the opportunity to visit the college dormitories and learn about unique opportunities available only to migrant students. 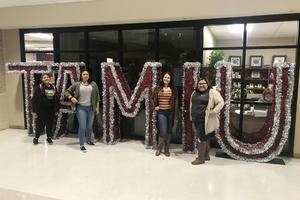 “As a migrant student, Texas A&M International University has a lot to offer us,” said Brianda Grimaldo, VMHS student. Grimaldo hopes to attend a university and study Social Work. She and her classmates received information about TAMIU’s College Assistance Migrant Program (CAMP) which is a federally funded program that provides financial assistance and tutoring and mentorship to first-year migrant college students. 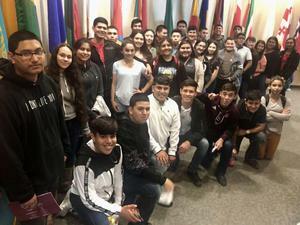 At TAMIU, that translates to $3000 scholarships for 35 migrant students. 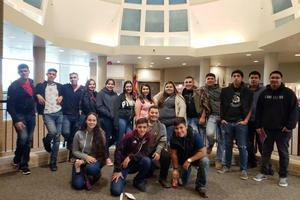 “Seeing all the costs involved to attend college, I know I will need to do better in school,” said Joselin Garza, MHS freshman. Students also heard testimonies from members of a student panel of current and past CAMP participants. Joselin Garza states that her teachers always remind her that the university tour experience always adds value when selecting a university. The CAMP experience is also available at nearly 40 other universities across the country. 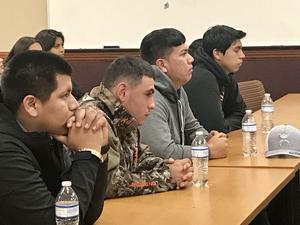 Migrant students must meet regular admissions criteria at the participating school and complete the FAFSA application to be eligible.